A few months ago, while searching for poor old baseball cards on eBay, this card popped up. 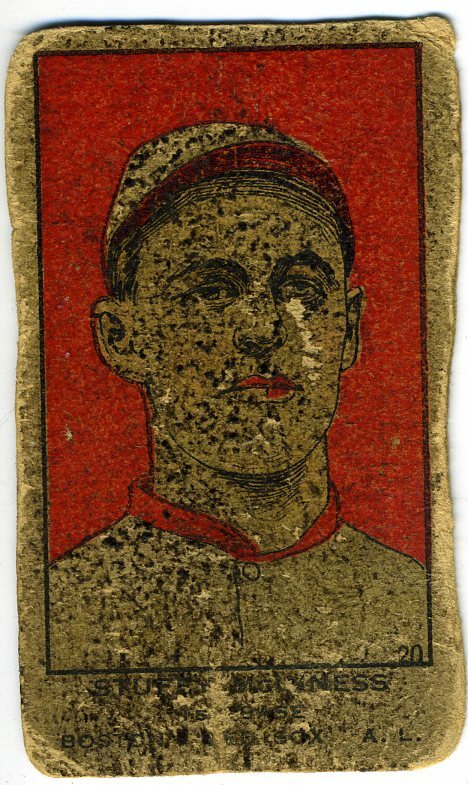 The title said: "1900's Shoeless Joe Jackson Strip Card, Rough Card." The starting bid was $1. 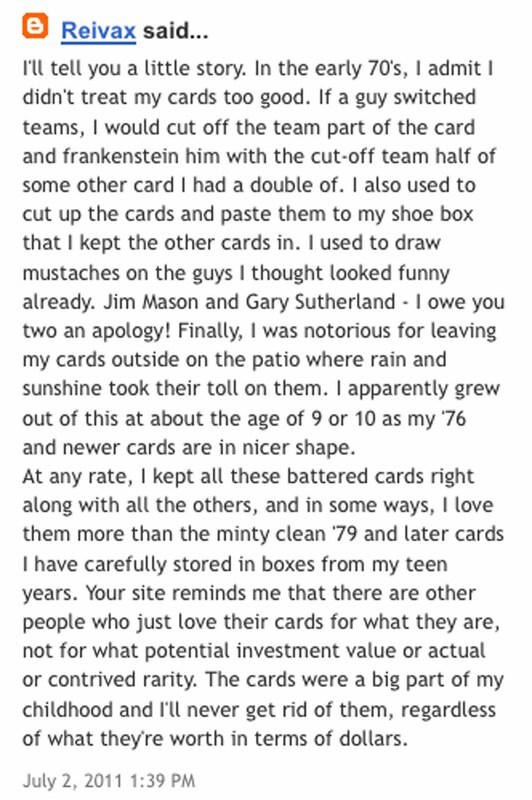 Upon further review, the description went on to mention this card was a reprint. Normally I would not look any further, but there was something different about this old card. 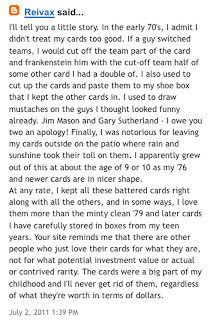 I gave the card and good look and wondered if the seller could have been mistaken. The color was right, it had badly rounded corners and several stains and creases. Again, it was listed as a reprint but it didn't look like it was recently printed. Could it be a really old reprint? So I took a stab and put in a $1 bid. A few hours later, I won. I wasn't expecting this to be a $5,000 card but the curiosity of exactly what this card was, was killing me. It arrived a few days later. Needless to say, I wasn't about to retire. It looks like someone used a photograph of a poor-conditioned card of Joe Jackson and attached it to a piece of cardboard. They even took the steps of rounding the corners and bending the card to produce its deep creases. To me, that's not a reprint — it's a fake! On the bright side, it does make a nice bookmark. This card is just plain dirty. I think it may be tar. Can't you just see this card falling onto the fresh pavement in 1919? I'm not sure how this gunk got on this card but it's caked on. Stuffy McInnis is one of those players that you've probably heard of but not sure why? 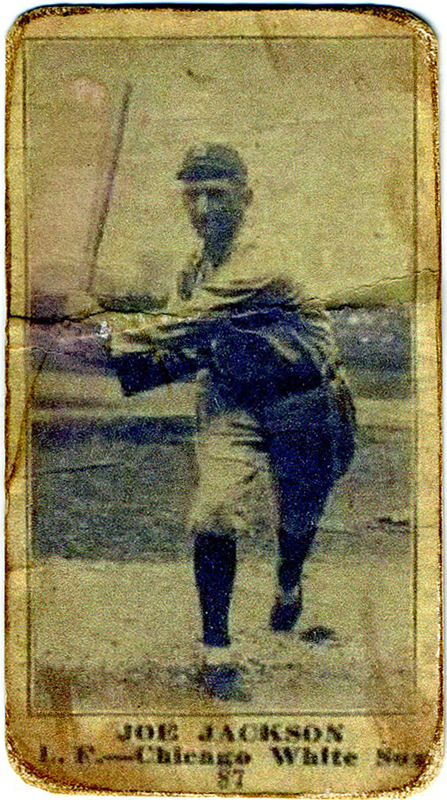 He was a member of the Philadelphia Athletics' $100,000 infield of the early 1910s. A first baseman, McInnis teamed up with Eddie Collins (2B), Jack Barry (SS) and Frank Baker (3B). Some consider them to be the greatest infield ever. And by the way, their salary would equal less than $2.5 million today. Every now and then, I'll get an email alerting me of a new comment on this blog. Sometimes it's the highlight of my day. These type of comments are what keep me writing. Thanks for the inspiration!